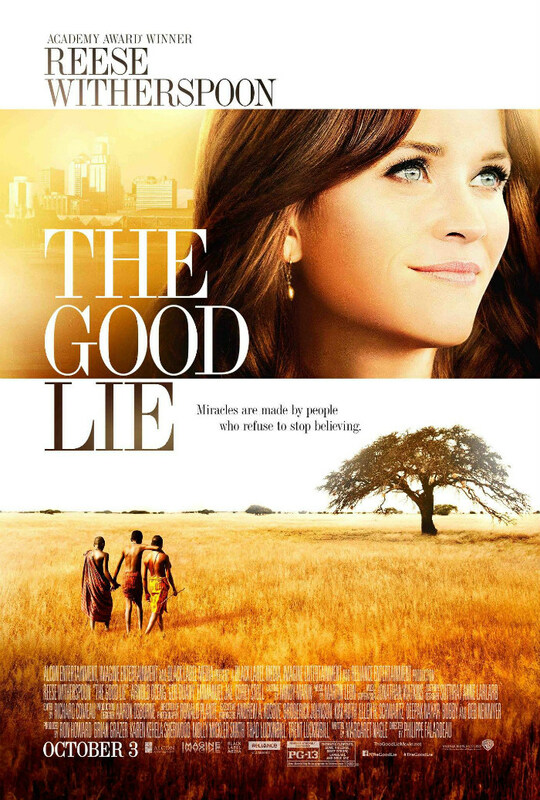 A group of Sudanese refugees are given the chance to resettle in Kansas City, Missouri, where their encounter with an employment agency counsellor (Reese Witherspoon) forever changes their lives. A wonderful little film that is certainly worth your attention. I originally watched this on a flight to America. I had no idea what it was about. Only that it featured Reese Witherspoon. I never expected to be rewarded with such an endearing and heart breaking story. The opening half hour was riveting. It grabbed me from the get go. We watch in horror as a group of Sudanese children have their peaceful, tranquil village destroyed by rebel forces during the Second Sudanese Civil War in 1983. Homes burned down and families massacred within a matter of minutes. It certainly made for sombre viewing as the children are forced to flee and attempt the walk to Kenya. Truly moving and tense as the children strive to survive the heat, the rebel forces and each other. One child Theo (Femi Oguns) makes the ultimate sacrifice by offering himself as a recruit to the rebels while his siblings hide in a field. I only mention this little detail because it becomes part of an ongoing search for Mamere (Arnold Oceng – Adulthood). Mamere and three other siblings- Jeremiah (Ger Duany), Paul (Emmanuel Jal), and Abital (Kuoth Wiel) manage to reach safety in an Ethiopian refugee camp. They are forever known as The Lost Children. 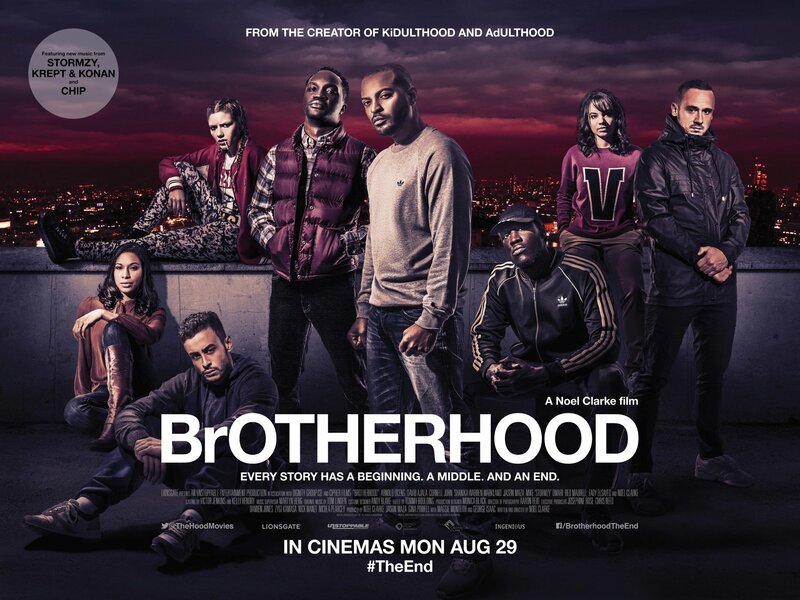 The film then skips forward to the early 2000s as the group are chosen to go to the United States. Issues with social services soon throws a spanner in the works as the siblings are separated; the three men are sent to Kansas City while Abital is placed in Boston. The rest of the film follows the men as they struggle to adapt to their new lives in a different culture. As well as battling exposure to drugs and dangerous animals. As soon as the three men meet their employment agency counsellor Carrie Davis, things take a lighter turn. Reese Witherspoon (Wild) and the lads worked really well together. Their innocence and naivety may have been a little cliched. Come on, I’ve seen Cool Runnings and Million Dollar Arm but it still made for highly watchable viewing. The Lost Children still very much at heart as they try to adapt to television, drive-thrus and supermarkets. Carrie’s stubbornness and initial reluctance to help may have been old hat but their relationship was still an endearing one. Witherspoon was very much in the background of this flick. Merely using her star profile to get some attention to this engaging story. I don’t think people would even have given it a look in. A shame considering how poor films have been lately that this film only got a limited release. The job scenarios made for interesting viewing. Mamere continues to appeal for Abital’s move as well as search for his lost brother. Jeremiah’s naivety and generosity inevitably causes issues with his job at the supermarket. His confrontation with a manager after giving away expired food to the homeless really highlighted the ugly corporate greediness that the Lost Children have never seen before. All the man wanted to do was work with the church. Paul earns a job at a factory after his natural talent for building things. However, it isn’t long before he falls into the wrong crowd and is introduced to drugs. The pace did dip in parts and was a little slow burning but it still made for dramatic and uplifting viewing as the film drew to a close. Just when I started to feel a little fidgety, an interesting development involving Theo led to a suspenseful border patrol encounter as Mamere tries to bring him home. I didn’t realise how the aftermath of 9/11 would make such an impact on the immigration laws. However after such a dramatic and tense scene. The film just ends. And quite abruptly. With just a few credits explaining what happened next. I was a little disappointed. It would have been nice to see those little credit bits. Just to round off what had been an intriguing film. Corey Stoll (The Strain) and Witherspoon’s meagre subplot suggested that something was going on between them but it never really went anywhere. Nor was it brought up for that matter. (Thinking back to it). It seemed like a desperate attempt to add a bit of depth to Witherspoon’s already rounded character. A bit sloppy. The cast were fantastic. It made a change to see new or virtually unknown actors taking the meatier roles. An interesting fact that I only just discovered. Duany, Jal and Wiel were all children that survived the Second Sudanese Civil War. God knows what it must have felt like to go through that experience again. Say what you will about whether they should have for a movie. BUT despite it’s little flaws, I was pleasantly surprised and would recommend this to anyone who wants an endearing uplifting journey of one family’s struggle.